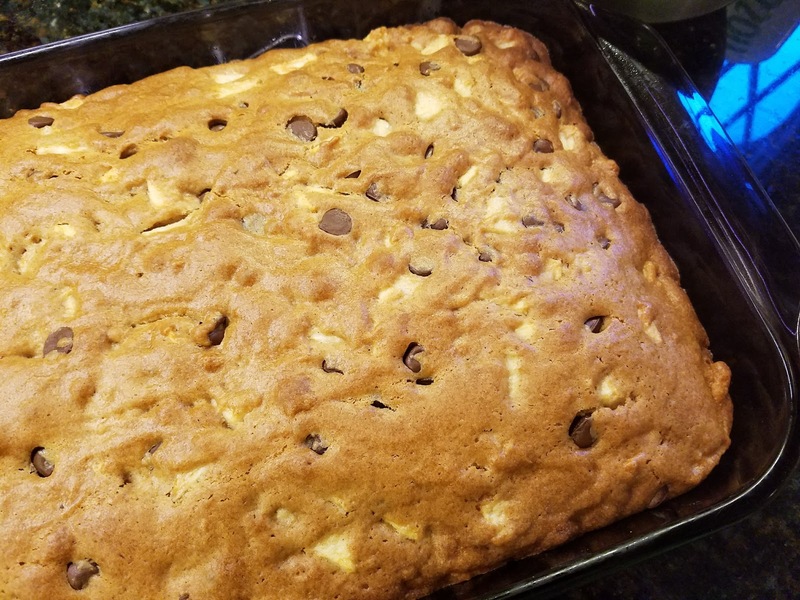 Today I join Fantastical Food Fight, where every month a theme or ingredient is chosen, and we all choose a recipe - from a cookbook, blog, or our imaginations - and we all share. Which recipe will come out on top? It will be fun to find out! This month's theme is Deviled Eggs. Now, I've made a lot of deviled eggs in my life. 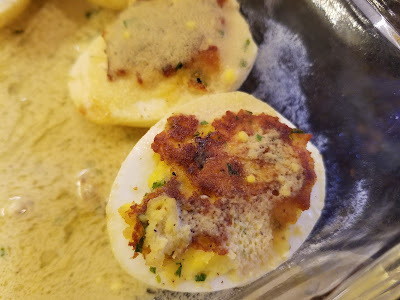 We had chickens when I was growing up, so we always had plenty of eggs, and when we had a church potluck, I usually made some deviled eggs. Strangely enough, I never actually cared for deviled eggs all that much. I mean, they were OK, but nothing special. I wasn't even sure I was going to participate in this month's Fight, until I saw a segment on the Rachael Ray show where they made these eggs. I was definitely intrigued and knew I'd found the recipe. Put the eggs in a small saucepan and cover with water. Bring to a gentle boil; turn off heat, cover pan, and let sit for 13 minutes. (Optional - add 1/2 tsp. baking soda to water before covering.) Drain off the water; fill saucepan with cold water, and let the eggs cool until cool enough to handle, about 15 minutes. Replace cold water as needed. Shell the eggs and split them lengthwise. Remove the yolks carefully, and mash them in a bowl with the garlic, parsley, salt and pepper. Add milk and mix until desired consistency. Spoon the mixture back into the hollows of the egg whites, reserving 2 to 3 tablespoons of the filling to use in the dressing. 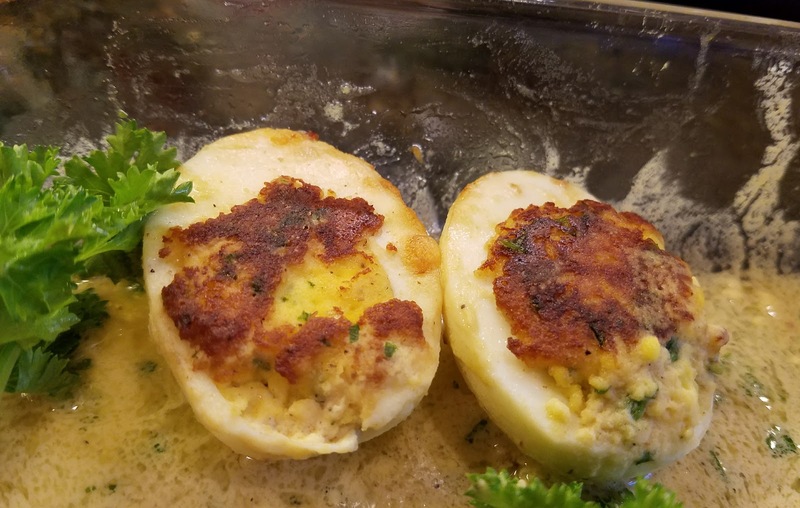 Heat the vegetable oil in a nonstick skillet and place the eggs stuffed-side down in the skillet. Cook over medium heat for 2-3 minutes, until the eggs are beautifully browned on the stuffed side. Remove and arrange, stuffed-side up, on a platter or dish. 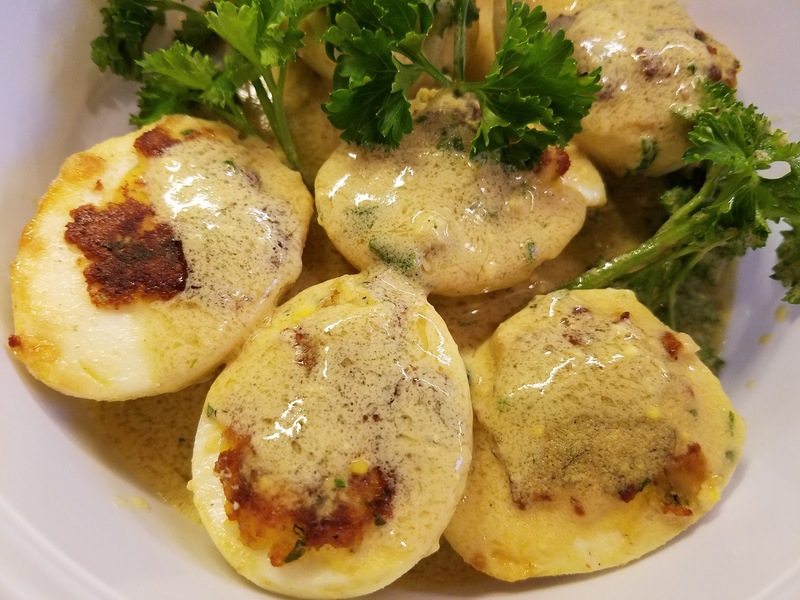 These aren't exactly potluck fare, but they were egg-cellent for lunch with a tossed salad. I really enjoyed the simplicity of the filling - egg yolks, garlic, parsley, a little milk, and salt & pepper. The flavor is really nice, and the creamy dressing adds just the right touch. If they taste like this, I may just decide I like deviled eggs. The only thing I changed from the original recipe was to use large eggs instead of jumbo, since that's what I had. I just cooked a couple extra to have about the same amount of egg and yolk. The bell peppers in my garden did really well this year. It's finally supposed to freeze tonight, so I pulled the rest of the peppers out of the garden this week. So now I need to use peppers for everything! 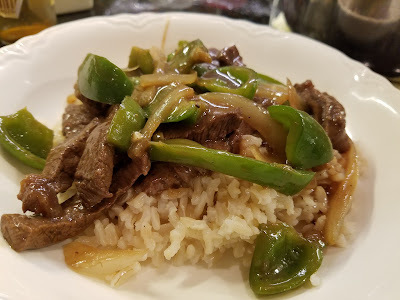 So when I picked up some marked down steaks at the store - don't ask me what kind; I don't remember - I figured pepper steak would be just the thing. Easy pepper steak is even better. Mix all marinade ingredients in medium bowl. Add the sliced steak and toss to coat. Cover and refrigerate for at least 15 minutes. Heat large pan over medium high heat; add a little olive oil. Remove steak from the marinade with a slotted spoon (reserving the marinade) and saute about 2-3 minutes until browned, stirring occasionally. Add onions, peppers, and garlic; saute until onions start to soften (about 3 minutes), stirring occasionally. Add reserved marinade and cook for a minute or two, until thickened. This really is an easy recipe. I changed it up a little and just cooked everything together. Who has time for cooking the vegetables, removing them from the pan, and then cooking the meat - only to put everything back into the same pan in the end? Not me! OK, maybe it would make a difference, and maybe some day I'll try it just to see. Maybe. I will definitely be making this again. Next time I think I'll add a few more veggies. You can never have too many veggies! 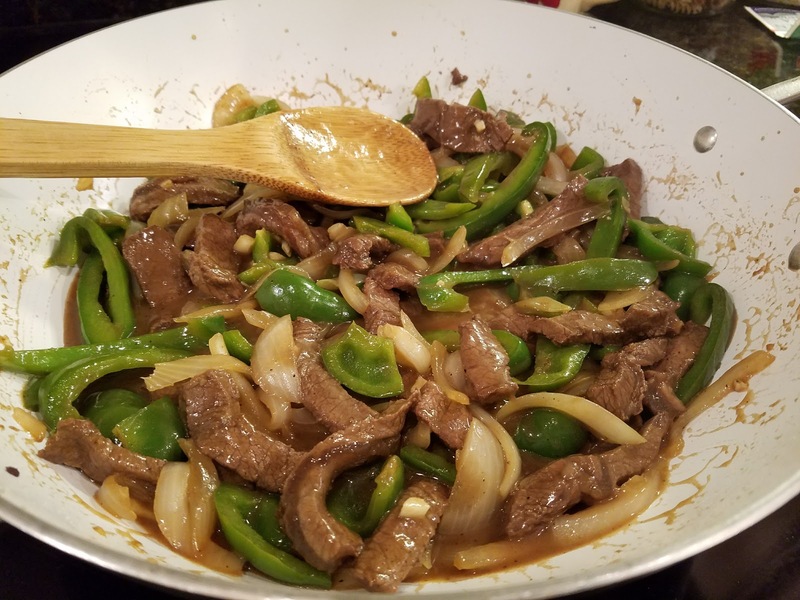 I'd especially like to add a bit more color, but the peppers were what I had, and the peppers were all green. Next time maybe some red. And some carrots for the orange. And... whatever veggies happen to be in the fridge. Isn't that how it's supposed to work? It's time again for Secret Recipe Club reveal! Sadly, this is also also the final SRC reveal for Group A. The Secret Recipe Club is coming to an end. Started back in April 2011, SRC and has had a wonderful five and a half year run and connected hundreds of bloggers throughout the world with our love of food and support of our fellow bloggers. My first SRC post was in February 2013, and I've loved all the new bloggers I've met and recipes I've tried. I know we're all going to miss it. I browsed through Laura's blog and find several recipes I definitely want to try. Sweet & Sour Brisket, Rhubarb, Apple, Pear Crisp, and Java Chip Ice Cream were just a few of them. they were there. This cake has long since been devoured! When I saw this apple cake recipe I knew I had to try it - just a touch of sweetness, studded with apple chunks and chocolate - why have I never thought to use chocolate chips in apple cake? I also really want to try this Bundt Pan Apple Cake Laura mentions in the post, but first, the Apple Chocolate Chip Cake. 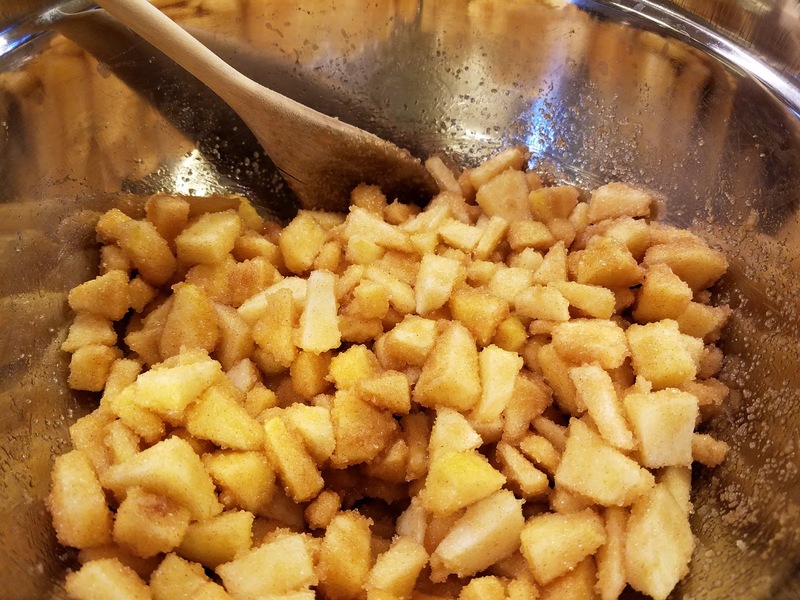 Cut the apples and mix them with the sugar and cinnamon in a large bowl; let them stand for at least 15 minutes, giving the apple chunks time to absorb the sugar. Preheat the oven to 350°. 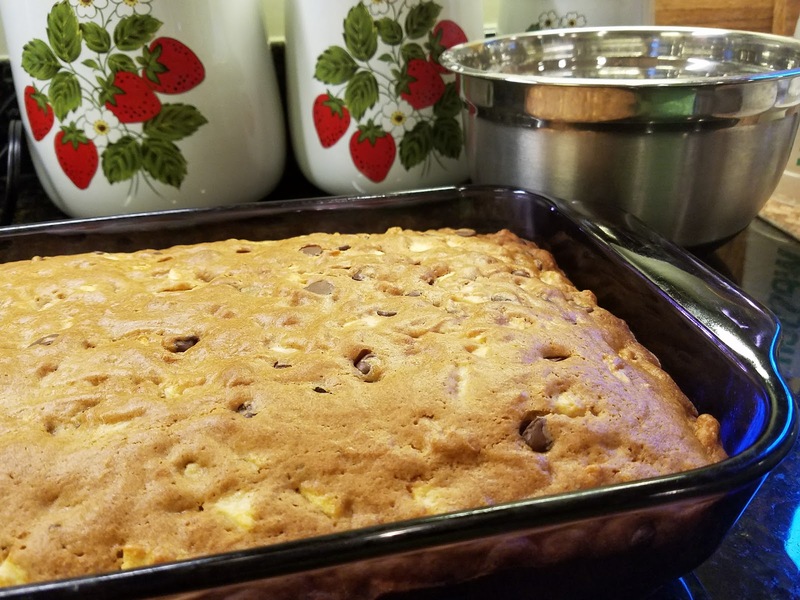 Grease a 13×9-inch baking pan and set it aside. In a medium bowl, mix (or whisk) together the flour, baking soda, and salt. Add the dry ingredients to the apple, sugar, oil and egg mixture in 3 additions, mixing thoroughly after each addition. The batter will be very stiff. 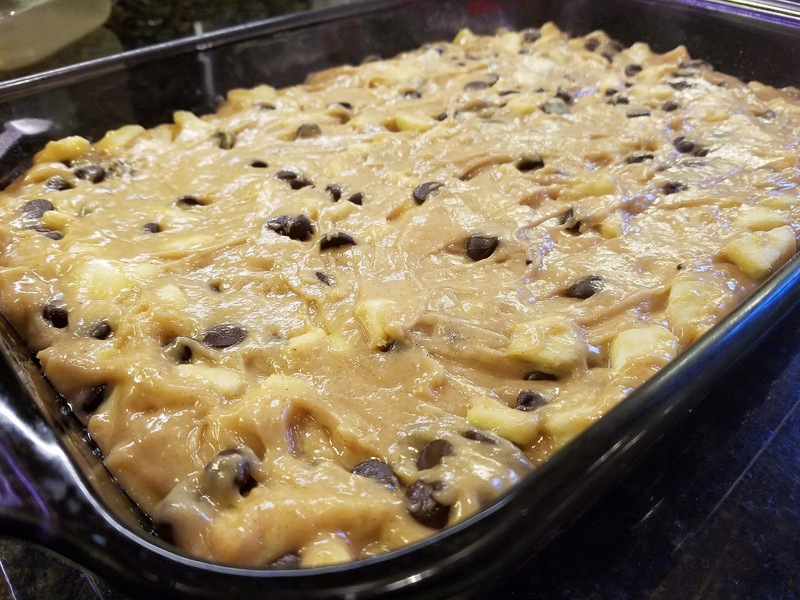 Fold in the chocolate chips and then spoon the batter into the greased baking pan. Even it out with the spatula or the back of the spoon. Bake approximately 40-45 minutes, until cake is golden and a toothpick inserted in the center comes out clean. Cool completely on a wire rack. 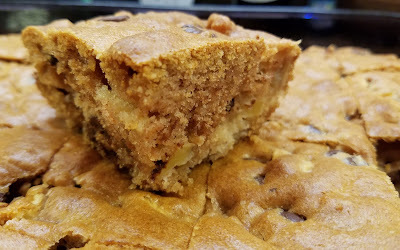 The only thing I changed about this recipe was to cut down the sugar from 1-1/2 cups to 1 cup, and to mix the cinnamon in with the apples and sugar instead of whisking it with the flour. That last part probably didn't make a huge difference, but I think cutting the sugar down worked out really well because this cake was still plenty sweet. My husband and I just had to try it the same day I made it. It smelled so good! And it was really good that first evening, but this cake gets even better after sitting overnight. It's dense and moist, and absolutely delicious. I took it to church to share on Sabbath, and we barely made it home with another piece for each of us. Everyone seemed to really like it. I will definitely be making this one again. And again.